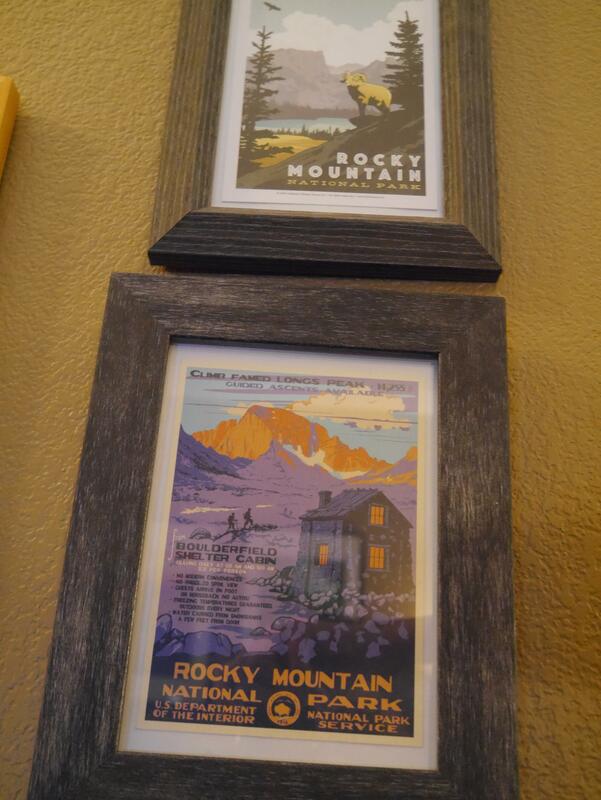 I finally bought picture frames for the two Rocky Mountain National Park postcards Sidney and Elisabeth bought me back in June. 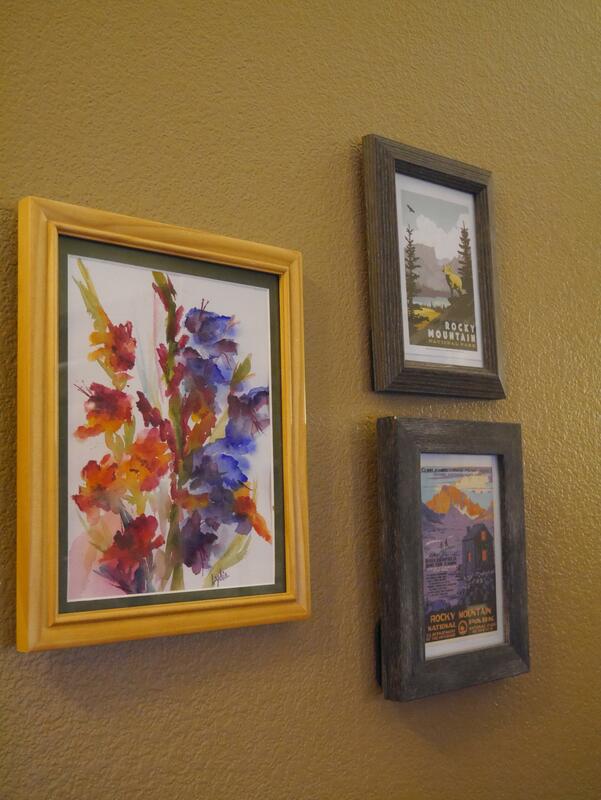 I hung both of them up a couple of days ago along with a beautiful painting that Lydia did and gave to me. beautiful – your home just gets better and better!